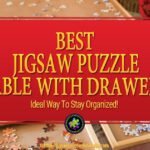 Are you looking for a more easy way of working on jigsaw puzzles, then you are going to absolutely love this Jigsaw Puzzle Easel by Jigthings. 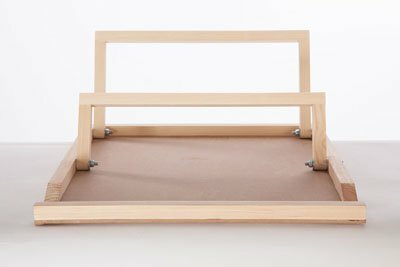 Are you looking for an adjustable Jigsaw Puzzle Easel? Something like an artist’s easel, where you can sit back and relax while working on your favorite jigsaw puzzle. => Get the JIGEASEL Here at a Great Price! 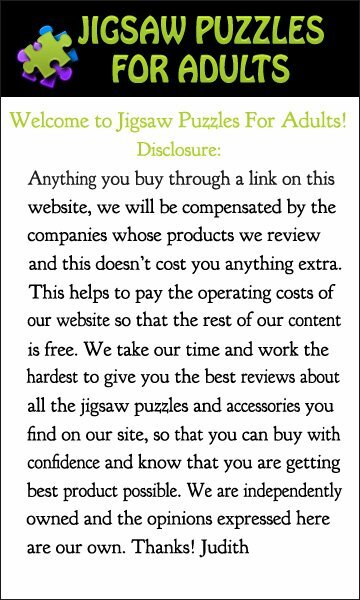 On this page I’ll be showing you the JIGEASEL MASTER jigsaw puzzle easel and letting you know what I think of it, the Good and The Not so Good. 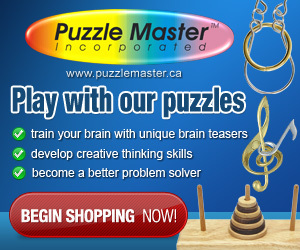 Most of us have a have a special favorite place where we like working on our jigsaw puzzles. For me it’s either in the living room watching TV or at the dining room table. However, a few months ago I fell and broke my leg in two places and I have to say it’s been really difficult to find a comfortable place to work on my puzzles. For the past two months I’ve been confined to my bed or to a medic reclining chair. All this has made it truly difficult to do anything that i normally like to do. You know that you can only watch so much TV before it starts to look the same. I decide that I needed to get back doing something that I love to do and that is working on my jigsaw puzzles and drawing. Light bulb AH HA moment! 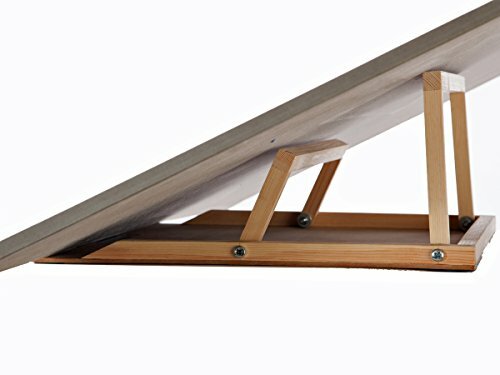 I need an easel like the one I use for painting or drawing. That would be ideal! You see I can’t have my leg hanging down, so this jigtable isn’t going to work, at least for now. However, if I can put a couple pillows on my lap I could easily place the easel on pillows on my lap and still be able to work on a puzzle. When I’m tired of working on it I can just get someone to move it to the side or put it on the table. I have a LapGear XL Laptop LapDesk that works awesome for working on laptop but it doesn’t work very well when working on a puzzle. 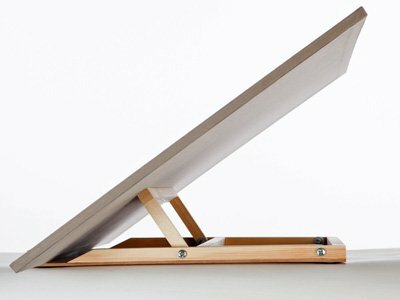 I’ve been thinking of getting of a LapGear MyDesk as it’s flat and would be great for drawing and it would be ok for a small puzzles but not but not anything like a 500 or 1500 piece puzzle. And really that is what I need to sink my teeth into. A 1000 – 1500 piece puzzle would be perfect to get my mind off of not being able to go outside especially now since the weather is getting warmer. What an awful time to break a leg! It is only 1 inch deep so it can easily be stored. Handmade in the USA by a single craftsman using kiln dried pine and MDF. Maximum height is 7 inches to 8 inches. 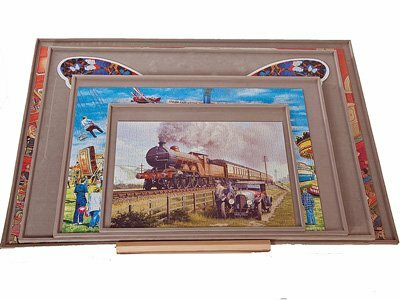 I have no idea why I don’t already have one of these jigsaw puzzle easels. It’s supposed to work perfectly with my Jigboard 500, Jigboard 1000 or the Jigboard 1500. The nice thing about this jigsaw puzzle easel is that I can use it even after I get out of this darn chair. 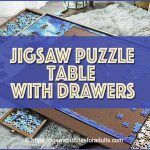 According to Jigthings the Jigeasel was designed by Alan Brailsford an English craftsman ideally for making working on jigsaw puzzle more comfortable for the puzzler while sitting at the table. 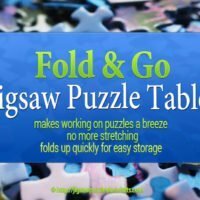 He recognized that one of the main problems when working on a jigsaw puzzle on a flat surface like a table is that it is sometimes difficult to reach all the individual pieces. Not only that, we all know how difficult it is to discern the details on a jigsaw puzzle piece because it’s hard to see them properly unless you stand up and look down at the pieces. So Allan Brailsford developed this jigsaw puzzle easel to solve the problem. 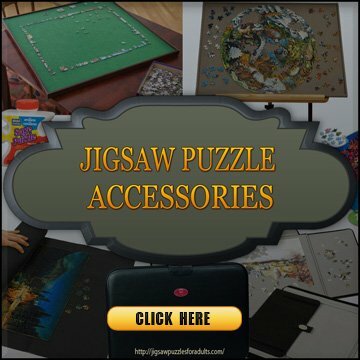 This jigsaw puzzle accessory can be laid flat on a table and then in a matter of seconds adjusted to the right angle that is the most comfortable for you to work on. I’m an artist so I can totally relate to working on a Jigsaw Puzzle Easel. 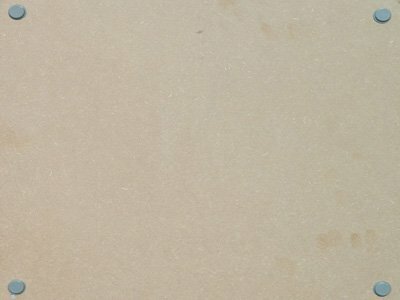 I couldn’t imagine trying to work on one of my paintings if it was laying flat on a table. I think it would be so uncomfortable. The same goes for working on a puzzle, this Jigeasel would make working on a jigsaw puzzle way more comfortable. 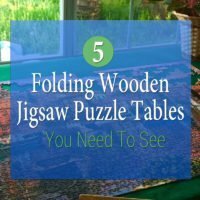 You need to be aware that you’ll need a puzzle board to place on your jigsaw puzzle easel, as you can’t work a puzzle directly on the easel itself. However, if you are an avid puzzle more than likely already have a few different sized boards already. 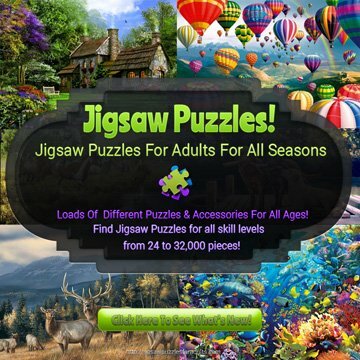 If not then check out some of these jigsaw puzzle boards. 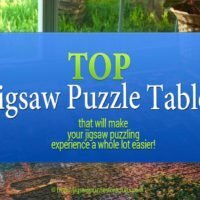 All in All I think that the Jigeasel – Jigsaw Puzzle Board does what it was designed to do, which is make it more comfortable for anyone who spends hours working on jigsaw puzzles. 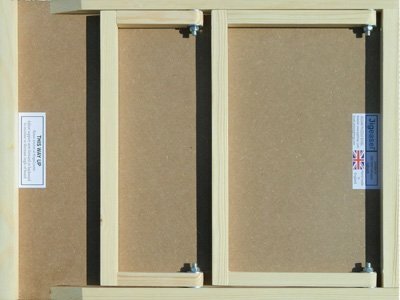 It is a simple solution, however, if you are handy or have a handyman around this jigsaw puzzle easel could easily be made. The thing is how many of us have the time or ability to build our own jigsaw puzzle easel. So, for me I think it’s a great buy. Besides once I’m up and able to move around I can still use it for working on my jigsaw puzzles and make my hobby a whole lot more enjoyable. 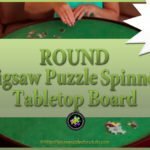 If you prefer working on your puzzle sitting at a table this would be ideal for you. 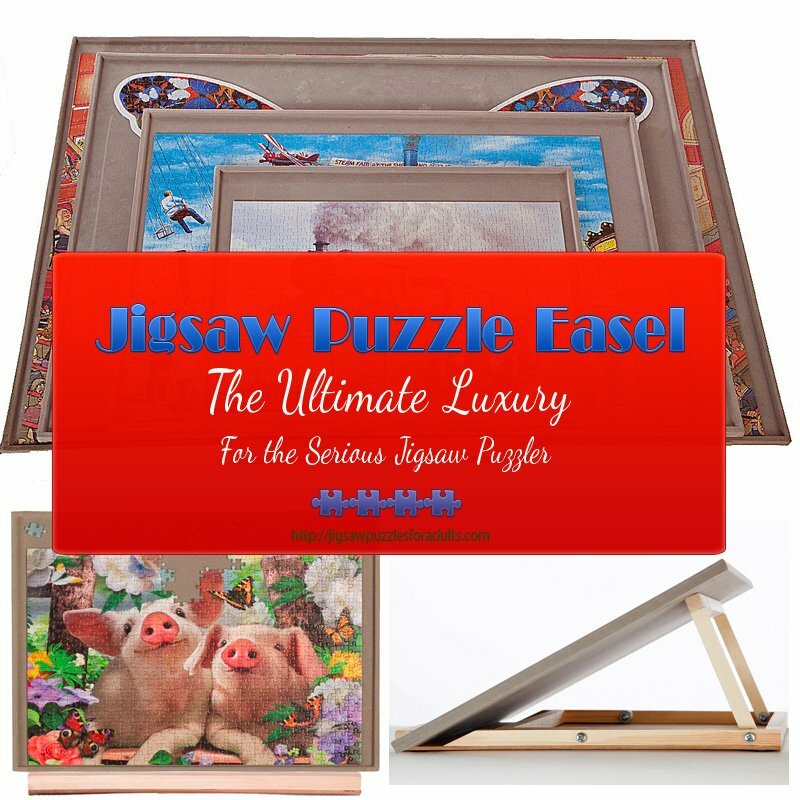 If you are planning on buying the Jigsaw Puzzle Easel as a gift for an avid puzzler. Then you might consider pairing the easel up with a puzzle board and a great puzzle. What a wonderful present this would make!